HDIS: Product Spotlight and Save! 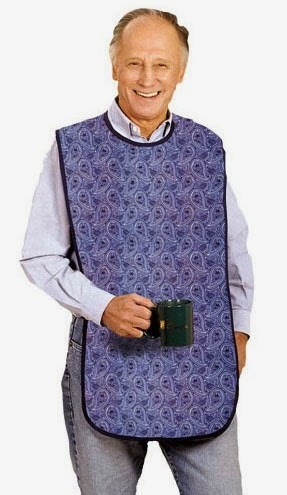 The Mealtime Protector is an attractive way to guard against spills! It protects your chest and lap at meal times! This is one-size-fits all and is adjustable. The Mealtime Protector is absorbent and waterproof to keep clothing clean & dry. It provides complete protection against spills & scalding. It provides total chest and lap protection while seated or in bed. This product is comfortable and adjustable. 18" wide and 36" long. Order today and save $2 with code "MEALTIME" at checkout. Let's Start Off the Week with a Quote! Start the week off HAPPY!